The smurfs are something that are familiar to us all but not quite like anything else we know. Known for their white pointy hats, blue skin and white trousers, the smurfs are considered one of the most recognised characters in the world. The smurfs, named after their personalities, speak their own special smurf language and live in a village of mushroom shaped houses in an enchanted forest. The smurfs are led by Papa Smurf who is 542 years old no more no less. Unlike the others, Papa Smurf wears a red hat and pants, though is probably best known for his fluffy white beard. A constant threat to the village is Gargamel, an evil wizard who lives in a stone castle in the forest with his flea bitten orange cat Azrael. 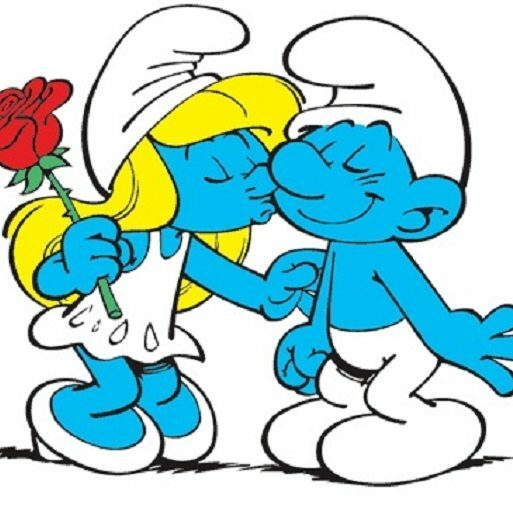 For some of you, you may have been first introduced to the smurfs by reading the comics. This started around 1958 and continues to grow, with an estimated over 25 million being sold. The publishing of books featuring the smurfs has also been highly successful. For others it may have been the animated cartoon series produced by Hanna Barbera in America in the early 1980’s. The success of this was contributed to Peyo, the creator, of overseeing each of the episodes. The cartoon series is still strong today being shown in over 100 different countries. With the success of the smurfs in America came many unexpected surprises; winning the Wall Street Journal Toy of the year award in 1983, theme parks being built around the America and subquently around the world, smurfs performing live on stage and endless of other things. More recently a newer generation was introduced to the smurfs in 2011 with the first 3D movie adaption of the figures. This was then followed by a second film in 2013. It is reported that both films have made over $1 billion at the global box office. In 2010 the Smurfs Village was launched and quickly become one of the App Store’s top free apps available. To date, the Smurfs Village has appeared as the top-grossing apps in 80 countries. With the smurfs being highly regarded globally, many different brands have teamed up with the smurfs over the years. Brands such as BP, McDonalds, Ferrero, PEZ, Chupa Chups, Kellogg’s, Coca Cola, Albert Heijn supermarkets and countless others. The biggest one that has changed my life was done by BP with the release of the PVC smurf figurines. Who would have thought that when BP placed an order with Schleich for PVC smurf figurines back in 1965 that they would go on and sell over an estimated 100 million smurf figurines. For me, smurf collecting is a big part of my life. I am the type of collector who never throws a smurf away, no matter in what condition they might be. Every room in the house except for the bedroom has been overtaken by the smurfs. I also enjoy reading and writing about smurf collecting. 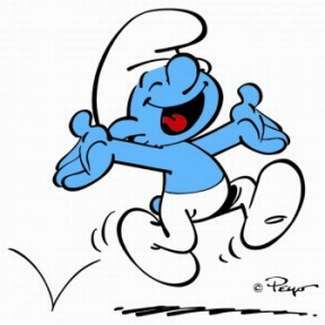 A good friend I met on the Blue Cavern forum Andre who resides in Sweden tells me “I love the smurfs since they remind me of my childhood and the comics”. Andre has fond memories of collecting the figures with his brother in the 1970’s. Then later on as an adult, Andre recalls that when his own children were small they used to like to play with the figures and his passion started again. Andre’s enthusiasm has extended to him creating his own website http://www.thecursedcountry.com which is full information for the die hard collector. So what makes the smurfs so successful today? Is it that it appeals to both girls and boys, the young or the old. Is it because we now have a generation of adults who fondly remember the little blue figures from their own childhood, and who are passing them onto their children? Whatever your reasons are for liking them, I hope you enjoy this site.